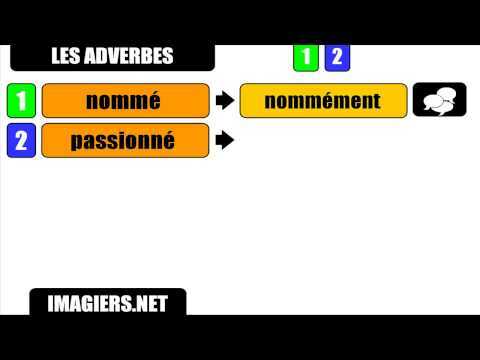 As we learned previously, to form regular adverbs in French, you use the feminine form of the matching adjective, to which you add -ment (See Forming regular adverbs with -ment). However, a small number of adverbs end in -ément. Unfortunately for us here, there is no general rule to explain these exceptions (except maybe that it helps with pronunciation), so you just need to learn them. C'est précisément ce que je pensais ! That's precisely what I was thinking! My son was sleeping soundly. Les élèves le regardaient confusément. The pupils looked at him confusingly. Il a réussi à peindre cette lampe uniformément. He managed to paint this lamp uniformly. Cette expression est communément employée dans le sud de la France. This expression is commonly used in the south of France. With respect, I just want to point out that I believe the correct translation of "confusément" is "confusedly", rather than "confusingly". "Confusingly" means "causing confusion", while "confusedly" means "experiencing confusion". PS - Or perhaps "confusément" could mean either? Yes, Diana is correct on this one. The example "Les élèves le regardaient confusément" suggests that the pupils are the ones feeling confusion, in which case the English translation is "confusedly". If it's the teacher who is confused about the expression on the pupils' faces, then indeed it is "confusingly". Hello I see differences in the video and in the lesson with some of the adjective forms. In the lesson we have profonde and in the video we have profond, confuse and in the video confus, commune, commun, precise, precise. If we are adding ément to the masculin form why are the examples feminine? Thanks to your feedback, I realised that this lesson needed to be made much clearer that it was (I did only use feminine adjectives here to show the formation of adverbs, but I agree it was not very clear). I've now rewritten the lesson, I hope that's helpful! There's no general rule? I thought it was to make it flow better in pronunciation, with the é. Is there a nmemonic for this? I don't know of one but perhaps you could come up with one? Or maybe put them all into a single paragraph (a rhyme perhaps) to help remember them?